Our family owned company understands that homeowners need to be able to trust their roofing contractor. We make a point of background checking and drug testing every member of our team to ensure you are getting attentive and reliable service. Our contractors are also well trained, licensed, and certified to complete projects ranging from roof replacement to simple roof repair. While the gutters aren't always the first thing that homeowners think of when considering home improvement projects, they can be one of the most important tasks. High quality, properly installed aluminum gutters funnel vast amounts of water away from the home's roof and foundations. They are vital for preserving the structure of your property. Make sure your gutters stay in great shape with an inspection and servicing by one of our roofing contractors! Keep your doors strong and attractive by having Tristate provide a durable, custom ordered replacement front entry or patio door. Our solid doors are made from the best quality materials to resist the elements while also enhancing curb appeal. Beautify your space with stylish French doors, sliding glass doors, and resilient steel and fiberglass front doors. With a large selection of window styles, Tristate Roofing can provide you with the same quality and support that you'd expect from any window installer. When you reach out to us about replacement windows, we'll pair you with one of our in-house designers. We'll give you the opportunity to custom order the perfect window styles, colors, finish, and hardware for your home decor. 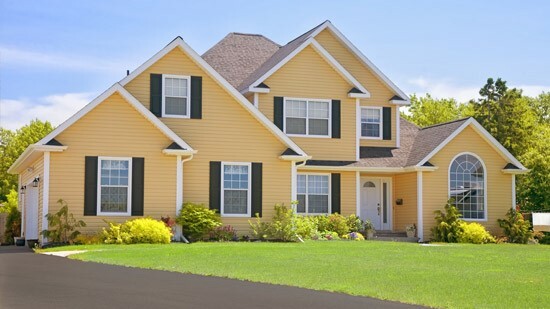 If you are thinking about exterior remodeling work on your home this season, reach out to Tristate Roofing. One of our certified contractors can help you decide what kind of work is needed from a roof installation to door replacement. Give us a call or fill out our simple online form to request your complimentary consultation with a price estimate from our local Auburn roofing company.